If you’ve read my posts, you probably realize I like to begin them with a story. I do this because stories are an effective way to get your point across to readers. The stories I’m talking about in this post are the ones you’d tell at an interview. In one of my posts I began by telling how my son wouldn’t listen to my basketball advice (why should he; I’ve never played b-ball in my life) and how my attempts to teach him the importance of being able to lay up the ball with his opposite hand relates to my attempts to get my customers to listening to common sense career advice. Now I’m going to set the stage for the importance of being able to tell a story during the interview. When I interview customers, I ask them behavior-based questions. The reason I do this is because the majority of blue chip companies use behavioral interviewing techniques to find the best candidates; and I want them to be prepared. If the jobseekers aren’t prepared for these type of questions, they will commit a number of blunders. Their stories will be too long, they may not use the proper format (STAR) in telling them, they may go down the wrong path, or they may simply crumble and lose their composure. But those who are prepared for behavioral-based questions will tell stories that knock my socks off. Here are seven tips for telling a successful story. 1. You show your ability to relate your experience in a concise, yet persuasive manner. Using the STAR formula, your answer is no longer than two minutes, two and a half at most. Keep in mind that interviewers have limited time and, after many interviews, short attention spans. The crux of your story is the actions you took to solve the situation. 2. You demonstrate self-awareness. You get the directive, “Tell me about a time when you reversed a problem for which you were responsible.” First you need to briefly own up to a problem you caused, as this isn’t the core of your answer. This, like all questions that involve a story, demands truth. 3. You reveal more skills than asked for. Your stories delivered during the interview will reveal more skills than what the interviewer asks for. A question about how you were able to improve communications between two departments at war with each other will show not only your communication skills, but also your interpersonal, leadership, problem solving, coordinating, etc., skills. Because your stories deliver more than what is required, one story can answer multiple questions by putting a twist on the stories. More importantly your stories give the interviewer more insight into your behavior and personality than traditional-type questions that can be answered with speculative or theoretical answers. 4. You elicit follow-up questions. When the candidate has achieved success, a couple of things can happen. First, the employer may smile and indicate approval by saying, “Thank you. That was a great answer.” This likely means that your story addressed the question and adhered to proper form. Or the employer may come back with follow-up questions, such as, “How did you feel about volunteering to take over the webmaster responsibilities? What did you learn about yourself?” Bingo. 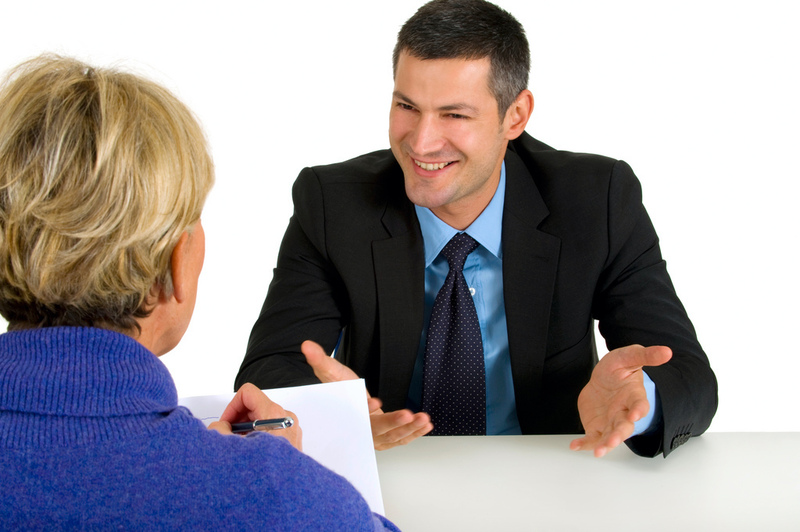 You’ve gained the interest of the employer who follows up with additional questions. 5. You show enthusiasm. In your story you talk about organizing a fundraising event that leads to donations that exceed last years’s event by $50,000. That’s a big deal, yet your voice is monotone. There’s something missing, isn’t there? Or you were able to establish a relationship that you nurtured through understanding your client’s needs and providing customer service, which lead to increased revenue. But there’s no excitement in your voice. When you tell your stories, make the interviewers’ care about your accomplishments as much as you do. Lean forward in your chair and look each interviewer in the eye, smile when you talk about your actions, and speak a little louder to capture their attention. On the other hand, employers want team players; so sprinkling in “we” every once in awhile is a good thing. If you led a team that did a great deal of the work, while you oversaw their work and corrected any errors; make sure to mention this. Give credit where credit is due, demonstrating you’re a leader who doesn’t take all the glory. 7. Preparation is paramount to success. There is really only one way to prepare for telling your stories. You have to completely understand what’s required of the position. Know what competencies the employer is looking for, e.g. time management, leadership, problem solving, problem assessment, and customer service skills. Based on this knowledge, you will construct five stories in anticipation of questions being asked about the identified skills. Also keep in mind that not all questions will require a positive result; some may ask you for a negative outcome. Note: Three stories may cover the five skills you’ve identified. Many interviewers will tell you that one story about a particular skill is not enough to determine that past performance is a true predictor of future performance. You’ll be asked to tell multiple stories about a time when you successfully, and unsuccessfully, performed desired skills. One thing your stories will prevent you from doing is fibbing; it’s very hard to veer from the truth. This entry was posted in Career Search, Interview and tagged behavioral interviews, interviews, storytelling on April 27, 2015 by Things Career Related.